You might think that carving pumpkins is just for older children who are able to use the cutting tools and cut out elaborate patterns and designs; but the truth is that carving pumpkins can also be the perfect sensory experience for toddlers, preschoolers, and young elementary too! Carving a pumpkin with younger children can not only be fun, but you can turn the activity into a sensory experience and teach them valuable lessons in the process. 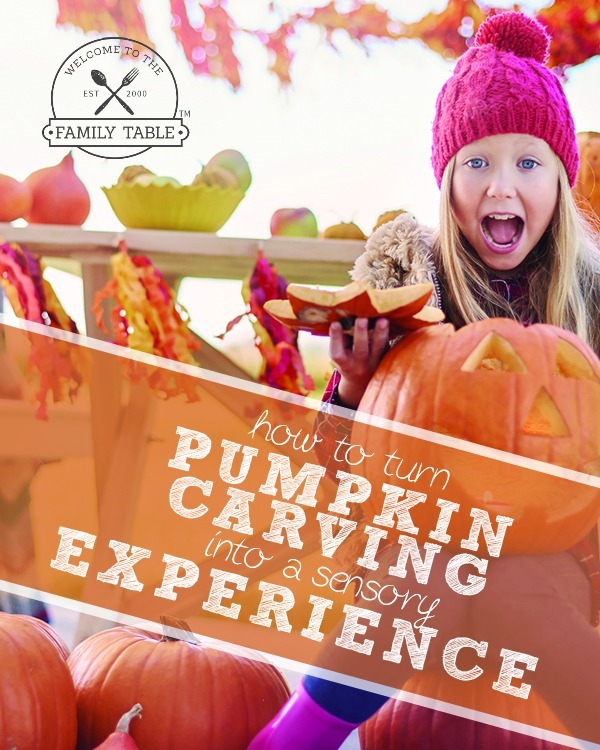 Take a look below at 7 ways to turn a pumpkin carving into a sensory experience for your young children and you can create a fall tradition you will never forget! 1. Let them choose the pumpkins at the patch. There is nothing that can mimic the stimulation that occurs when our hands touch and feel different textures. Even as an adult I feel my mind going to new places when I am playing with sensory toys! By allowing your young children to choose their own pumpkin (or two) at the pumpkin patch, you can open their world of touch up to many new textures. From the smooth skin of a pumpkin to the pretty and soft green leaves to the (sometimes) prickly stems; touching the different textures is sure to develop a nostalgic sensory-based memory for your children. You can also teach them new vocabulary words to describe the different colors, shapes, and textures. Super fun! 2. Be prepared with the appropriate materials. When carving a pumpkin you might think you just need a knife and scoop on hand, but when enjoying it has a sensory experience with a toddler you will need more! Have paint brushes, spoons, blunt forks, a ruler, measuring cups, and other child safe items the toddler can use to explore the insides and outside of the pumpkin. 3. Do the initial cutting yourself. Have the initial cutting of the pumpkin done before you invite the toddler to join you. This means have the top cut off and any facial features already done. This way there isn’t any of the “I want to help” issue and the child will be able to encounter only safe experiences from here on out. Other pre-activity exercises can be sniffing pumpkin spice to get an idea of what the pumpkin might smell like, making a list of words to describe the outside of the pumpkin, or talking about the parts of the pumpkin. 4. Allow exploration to begin. Place the cut pumpkin on a towel, newspaper, or outside and allow the child to start exploring. Remember the end game here isn’t to have the perfect pumpkin to display on the porch. It is to allow the child to feel the pumpkin, smell it, taste it, ask questions, and explore it with all of their senses. Let them use the tools mentioned above to explore the pumpkin as they wish. While the child explores start a conversation using words to describe the pumpkin. You might talk about it being orange, squishy, slimy, etc. Use plenty of adjectives and let them use some too. Ask them questions as they explore, and allow them to do the same. 6. Don’t be afraid of a mess. Part of the sensory experience is not being afraid to make a mess. Expect for pumpkin splatter to be on the floor and for hands to get messy. Encourage kids to explore openly, ask questions, and use the tools to sort, scoop, measure, and play in the pumpkin. When you are done, you can talk about the experience with the child. Did the pumpkin feel as they expected it would? Did they like how it smelled? Are all pumpkins slimy like that? You can even invite them to roast any seeds you have found during the process or to decorate the outside of the pumpkin with paint or markers when done. Extended the lesson beyond exploration is a great way to further develop their understanding and also open the floor up to any questions they might have about pumpkins, fall, nature, etc. As you can see, pumpkin play with your young children can be an amazing sensory experience. 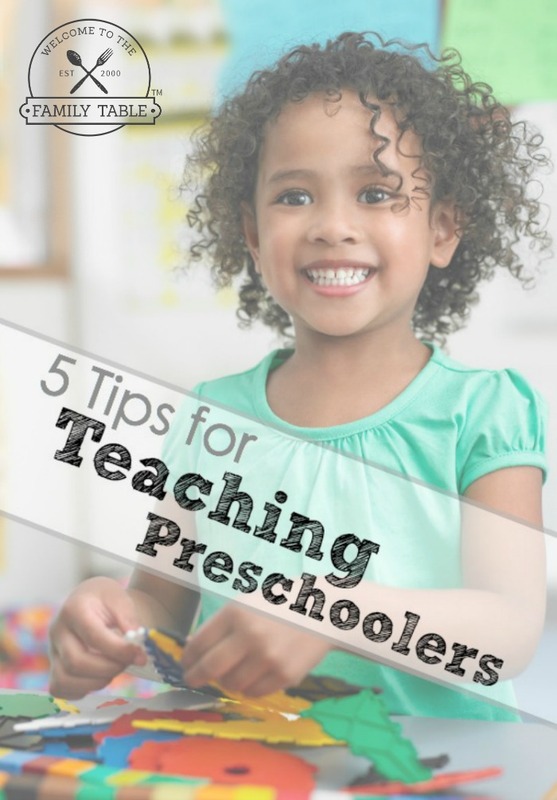 Give these tips a try and see how much educational fun you can have!